SAN DIEGO (CNS) - A man who became one of the Department of Homeland Security's highest-priority fugitives after he allegedly assaulted a Border Patrol agent with a softball-sized rock last fall was behind bars Friday following his arrest at the U.S.-Mexico line. Martel Valencia-Cortez, a 39-year-old Mexican national, turned himself in at the San Ysidro Port of Entry about 9:30 p.m. Thursday, federal officials said. Valencia-Cortez had been the focus of an intensive law enforcement search since the evening of Nov. 15, when Border Patrol officers reported spotting him leading 14 undocumented immigrants into the United States through remote and rugged terrain near Jacumba. When he saw the government personnel, Valencia-Cortez broke away from his group and ran toward higher ground on Carries Mountain, according to the Border Patrol. The agents gave chase, and as they began to catch up to Valencia-Cortez, he allegedly hurled a stone at them, striking one in the face. The injured agent responded by firing multiple rounds at the suspect with his service pistol. Valencia-Cortez, apparently unscathed by the gunfire, continued fleeing and crossed back into Mexico. Border Patrol officers took the rest of the illegal immigrants into custody. The agent who had been struck by the rock received medical attention for cuts and bruises. The Border Patrol launched a binational media and public-outreach campaign seeking tips about Valencia-Cortez's whereabouts. Additionally, an intensive multi-agency enforcement operation targeted him along the border and ports of entry in California. "This effort should send a clear message to anyone who would carry out the deplorable act of assaulting a federal agent,'' Barlow said. 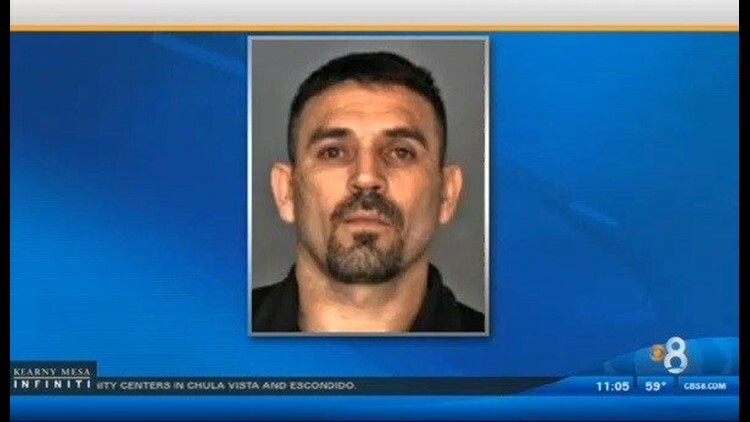 Valencia-Cortez has been involved in numerous human smuggling incidents dating to 1997, at times carrying a gun and eluding arrest by resorting to violence and dangerous acts, including wrong-way driving on freeways, according to federal authorities. He was released from federal custody last September following a three- year prison sentence for human smuggling.